If you want to satisfy any caffeine rush, this two-piece 14 oz. Rotunda ceramic mugs gift set will do the trick! 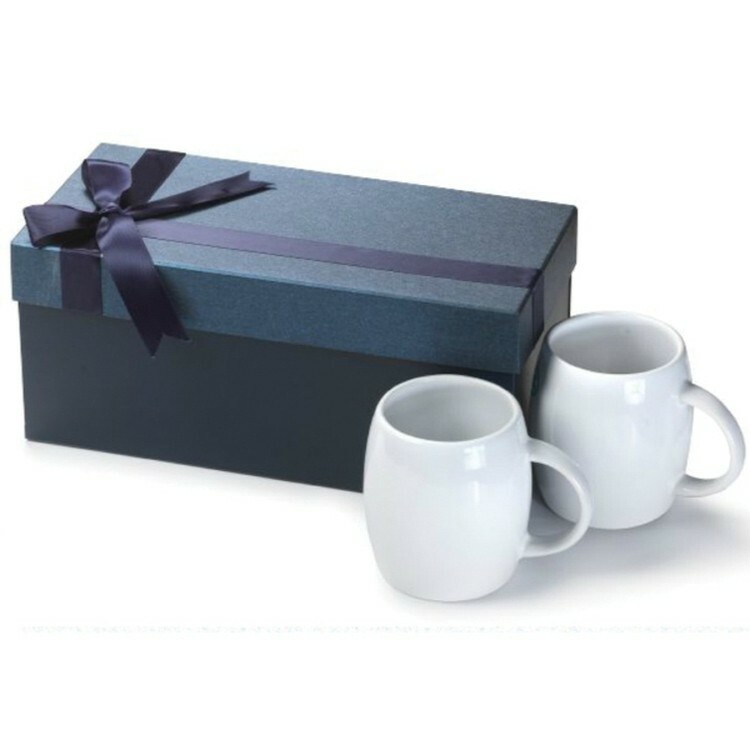 These sleek white mugs measure 4"H x 3"D and come packaged in an elegant gift box with a bow on top. Dishwasher and microwave safe. Add this to your shopping list!